Last month, National Public Radio began taking entries for its annual Tiny Desk Contest. 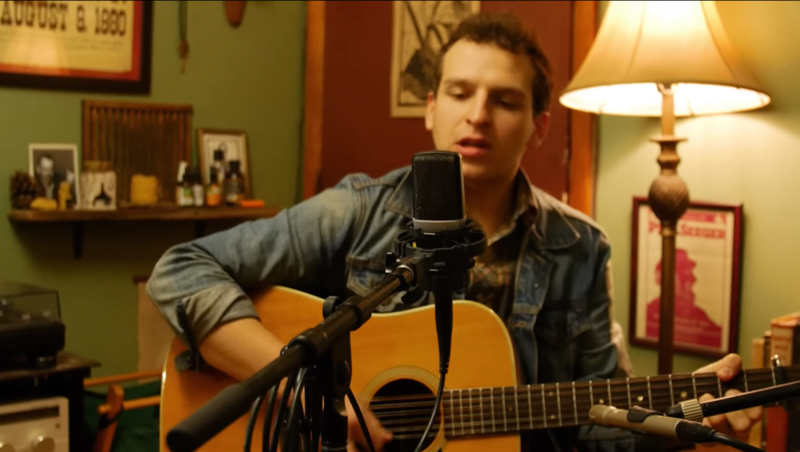 As per usual, a number of Vermont acts submitted this year, in hopes of landing a coveted Tiny Desk Concert appearance and a national tour with NPR and Lagunitas. Among these is local songwriter and current Honky Tonk Tuesday ringleader Eric George. His submission for his song "And When I Sing," was recently featured on the contest's Tumblr page, which is a clearinghouse for videos that have "caught the eyes and ears" of the contest's curators. “And When I Sing” is very much on Guthrie’s side of that divide. With a swaying performance on his 12-string and spiritual accompaniment by a spotted pup, George has shared a slice of stirring self-affirmation and bracing goodwill.